This is a great beginner's course as well a good refresher for those with previous weaving experience. Can't Make this course? Don't worry! The next workshop is October 20-23, 2019. Interested in keeping up with future weaving workshops? CLICK HERE! Price includes loom use and yarn, expert instruction, meals and lodging. Weave two textured fingertip towels. Patricia Morton has been weaving for over 25 years. As a "workshop junkie", she has studied at numerous seminars and weaving conferences. She has exhibited her work with four New England guilds, prior to relocating to Appomattox, Virginia. Her work has been featured in Handwoven Magazine. 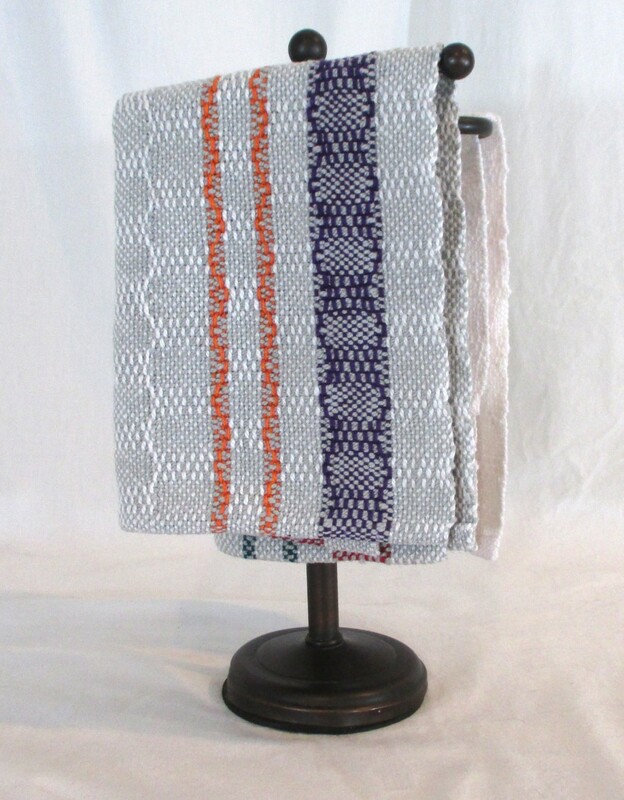 She sells her hand-wovens at various local craft fairs, and online. Patricia loves to spread her passion for weaving. She has introduced numerous adults and children to weaving. She is a co-owner of Treeditions, a weaving, woodworking, and weaving tools company. Rustic but comfortable, bunkstyle lodging is provided. Please bring your own linens, pillow and toiletries. Meals are provided from Sunday dinner to Wednesday lunch. Please let us know of any dietary needs. An information packet will be sent to you, upon registration completion.